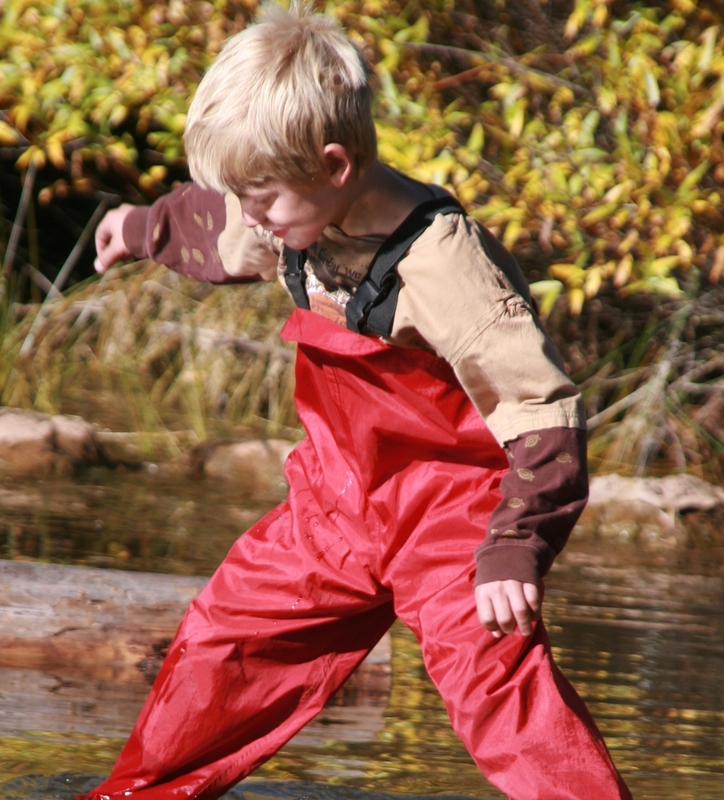 Our mud/rain overalls are great for children who love the outdoors, no matter the weather. 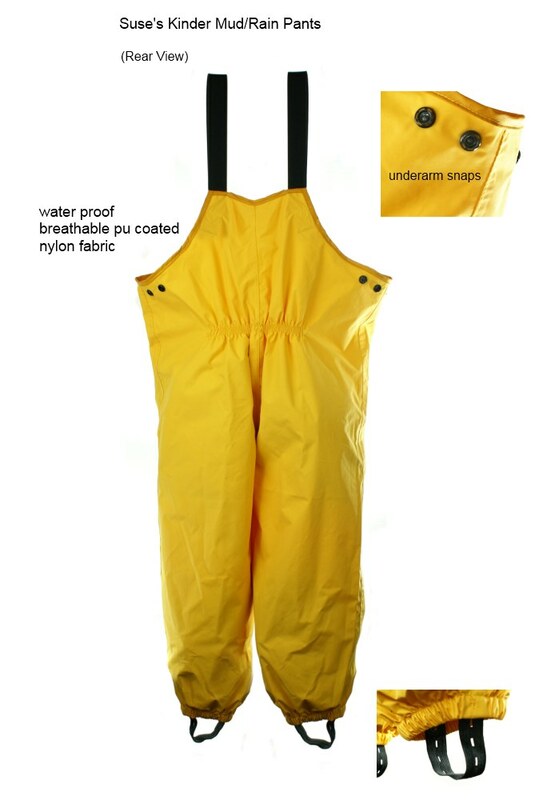 They are made of nylon PU coated for durable breathable wear. The fleece lined version feature a black fleece layer on the inside for added warmth. Features elastic on the bottom of the legs, adjustable shoulder straps, and foot straps that button into place if you choose to use them. Pulled over rain boots or winter boots, they keep the water and snow out. These mud/rain pants are perfect for babies starting to walk during the early spring or fall when the ground is often wet and muddy. The mud/rain pants allow baby to crawl and explore the outdoors without getting dirt or mud on their clothes. The pants are easily washed off and double as snow pants in the winter with proper clothing underneath. 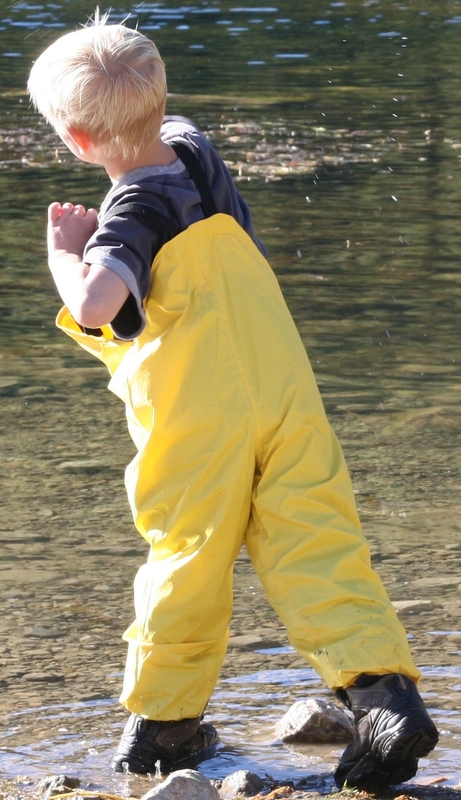 All of our children have a pair.In the early spring especially, after cabin fever gets the best of them, these pants are used several times every day. Playing in the soil and having their hands stimulated with feeling different materials helps children develop sensory skills leading to better eye hand coordination. European Sizes: 80 (8 months-2 years ), 90 (2-3 years), 100 (3-4 years), 110 (4-5 years), 120 (5-6 years), 130 (6-8 years).